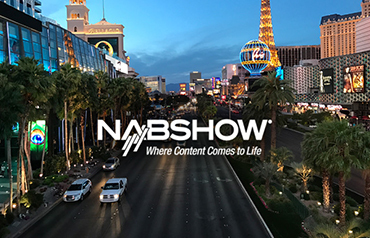 Celebrating our quarter-centenary this year, we will promote the latest additions to our range of broadcast, OTT and IPTV content protection products on booth SU7225 at the April 8th-11th 2019 NAB Show in Las Vegas. This will be our busiest ever NAB in terms of new offerings. The DV3358 is a very competitively priced satellite IRD providing full support for conditional access. DVB-S/S2 input compatible, it outputs TS over IP, ASI and 3G-SDI. The IRD can be remotely managed via a web portal. The DGI 1012 miniature DTV interface will make its NAB debut. This is a plug-in dongle which allows customers of TOLKA network operators to view free-to-air or pay-TV on their mobile phones or tablet computers. A miniature antenna connects straight into the dongle via a standard F-type coaxial connector. The DGI 1011 is also equipped to decode conditional access protected transport streams, allowing the playout of secured DTV content. Viewers gain the advantage that they can watch DTV without eating into their data-subscription allowance. DVB-T/T2, ISDB-T, ATSC and DVB-S/S2 are supported. DVB-C versions are currently in development. Our new inexpensive A1100X set-top box supports advertisement or content insertion and conditional access as well as IPTV, DVB-T/T2, DVB-S/S2, DVB-C and ISDB-T delivery protocols. Also on show will be our new Conista Go CA software-based conditional access solution, designed for OTT platforms such as Android and iOS. Additional hardware security is available when used with our Secure Dongle products. Gen 3 is the latest addition to our range of forensic watermarking products and services. Optimized for live events such as sports, Gen 3 is available for integration with set-top boxes or OTT devices such as Android and iOS. ADTH will also be demonstrating high-accuracy server-side or client-side ad and content insertion for use on two-way and one-way systems. And our new Targeted Banner Ads solution can be used to deliver viewer-engaging personalized advertisements to set-top-boxes and mobile devices without need for internet connectivity.